In response to reporters' questions, the FDA said last week that it was taking new action to create “a more robust medical device safety net for patients through better data.” ″Unfortunately, the FDA cannot always know the full extent of the benefits and risks of a device before it reaches the market,” the agency said. In the last 50 years, the medical device industry has revolutionized treatment for some of the deadliest scourges of modern medicine, introducing devices to treat or diagnose heart disease, cancer and diabetes. Medical device companies have “invested countless resources — both capital and human — in developing leading-edge compliance programs,” said Janet Trunzo, head of technology and regulatory affairs for AdvaMed, the industry's main trade association. “I'll die here,” he said. “It's kind of the story of FDA's regulation of devices, where they're just putting stuff on the market,” said Diana Zuckerman, president of the National Center for Health Research, who has studied medical devices for nearly 30 years. “But there's a tremendous financial incentive to downplay, ignore or forget bad patient experiences and just focus on how happy patients are,” she said. “I told them that it feels like the lead is moving up and down my spine,” Taft said. “They said, 'It can't move. '” But in July 2014, X-rays revealed the lead indeed had moved — two inches on one side. Renee Taft, a paralegal, reached out to Boston Scientific in 2017, but said the company refused to help because her husband's stimulator had been removed and blamed Taft for his problems, also saying he had engaged in “rigorous physical activity” after surgery. Boston Scientific said it never received the stimulators that were implanted in Taft and Davis so could not “conclusively identify” the causes of their problems. “Numerous factors can contribute to a patient's ongoing symptoms, from increased physical activity to the onset of pain in other areas,” the company said. “To me, it's not about the money, It's about the people. It's about them knowing what they're getting themselves into,” she said. 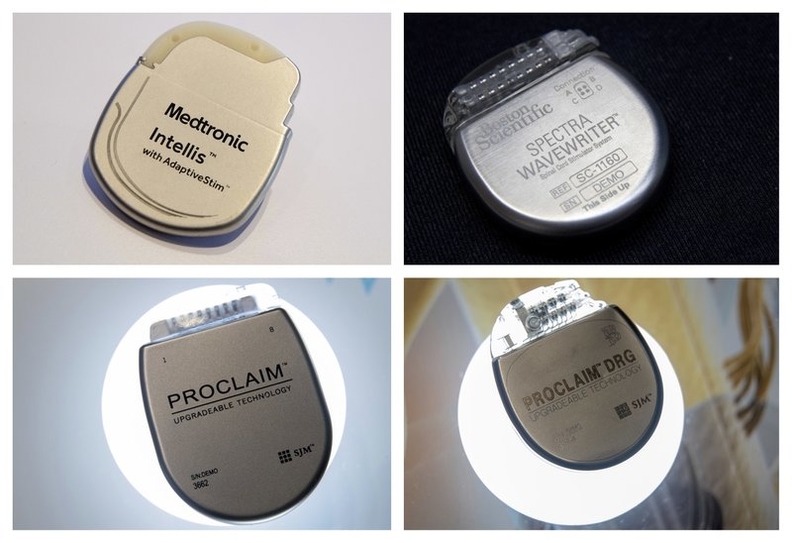 “While there have been a few instances where individuals or affiliates did not comply with Medtronic's policies, we acted to remedy the situation in each case once discovered and to correct any misconduct,” the company said. “Chronic pain is one of the largest health-care burdens we have in the U.S. It's more than heart disease, cancer and diabetes combined,” Falowski said in an interview. “I was actually buying them on the street ... a little like a druggie because I couldn't get them anymore” from his pain doctor, Corby said. Abbott said that many of the “adverse events” reports in the FDA's data stemmed from a device that was voluntarily recalled in 2011. The company added that feeling a temperature increase at the implant site “is often a reality for rechargeable spinal-cord stimulation systems,” which is why the company is now concentrating on devices that do not need to be recharged. Despite insisting nothing was wrong with the unit, Snyder said, Falowski called her one day out of the blue. “He said 'Under no circumstances are you to turn it on.' I asked him why and he wouldn't say,” Snyder recalled. “My fear is I'll be like this forever,” she said.